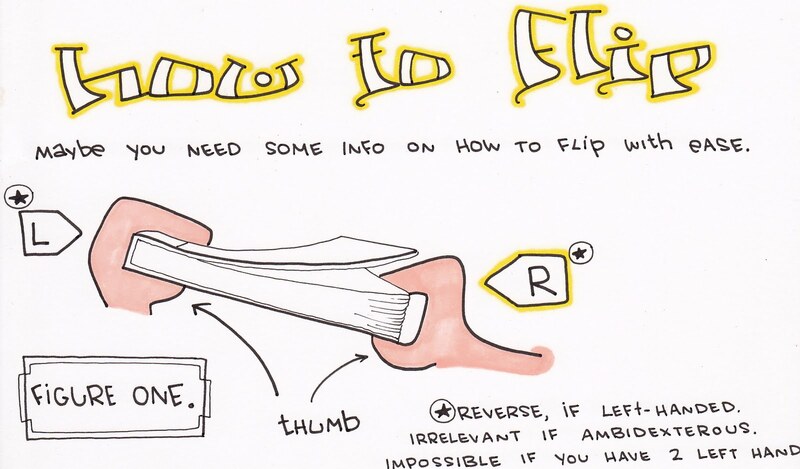 This is how I recommend you teach yourself flipbooks. It takes time to get really good at it, and that's the message behind Pre-Step 1. The other thing is there is no such thing as "art skills." It's a matter of trying to succeed your result. If your purpose is to convey an idea, your "art." Language is not confined to words. We see pictures everyday. We recognize objects like the signs on the highway. We can identify shapes. In life, we piece together words that are symbols. They help us perceptualize the world. When you see a cartoon, what do you see? You see lines, that are connected by other lines. Each one of those lines had to be drawn. Then, they're colored in. What you don't see with every cartoon that you see on the television and internet, is the way that the cartoon was put together. I'm going to show you, line by line, how I draw mine. And from there, if you care, you can draw your own and put together some great stuff to share with your friends and family. The first thing you need to make awesome cartoons is the time to draw. Many people out there say that there's no time for drawing, but we make time for things like television and videogames, which ultimately will not benefit you. Imagine if you drew a flipbook about baseball, and it took you just as long to watch a baseball game on TV. Wouldn't that be an awesome use of time? You could even have the game on in the background, to provide inspiration. You have to make time to draw. If you're in class, and the teacher is speaking about something, does it bother that teacher if you're doodling? Probably does a little bit if you're supposed to be paying attention. So why not doodle about what the lesson is about? It gets your mind focused on the subject matter, and you're also employing your drawing skills. Do words really help that much? Also, think about the difference between words and a picture. 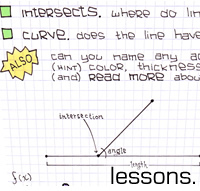 This is the lesson of the Rule of Lines. I challenge you to just draw a little bit more often. Make time for it, or do it while you're doing other things, like sitting in class or watching TV. It'll really help you out, because there's nothing worth stressing like expressing yourself. And nothing is more moving than the movie you are living. So make a cartoon about your life. Draw something that expresses your feelings. Make time to draw. Yes, you must explore. This is a key step in the process of these various different endeavors. Many of us are content to simply consume the imaginative products of others. Our own thoughts become byproducts of others' imaginations. There is a powerful magic and it's called TV. What makes it magic? Masses watch it. Only a few actually make it. You must explore your imagination a little. Get into what you think about. If your mind is negative, or you are pessimistic, you will have no luck with this at first. The best way to get out of a negative or pessimistic state is to follow lesson 2, because it will get you out of there. Yes, there are rules to this game, and if you want to win, you have to play by them. You can't win the game if you don't play by the rules, and if you're going to throw away pages, then you'll also want to keep starting from scratch. In other words, you're not going to get very far if you start tossing away frames. Keep trying to get a perfect one that's exactly 80 pages. In that regard, the flipbooks are like haiku. Those are poems that contain a certain number of syllables per line. It's the structure of the format that gives the poem its identity. 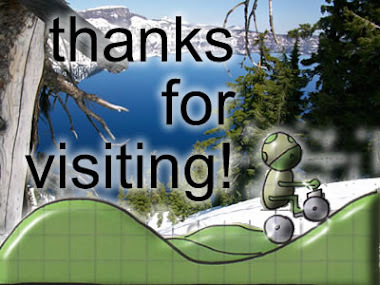 That's what makes an Analog Flipbook (my method of making hand-drawn animations) what it is. 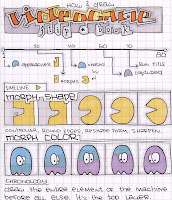 An "Analog Flipbook" is, by definition, an 80-page sequence composed only of pen and ink, in a notebook of graph paper. If you want to get more specific, it happens to also contain the methods of drawing ascribed in this text. If you follow the Analog path, it will take you down the same road that it's brought me. That means you'll be able to draw awesome flipbooks. If you would like to order parts to build an Analog Flipbook, head on over to [tools]. In the meantime, keep reading and discover what you can do with those tools. Once you're ready to explore, build on the ideas that interest you the most. Try to imagine pictures in your mind. Keep the first ones very simple. 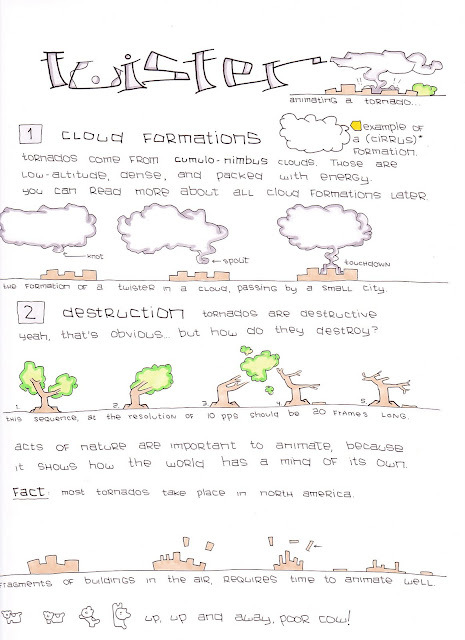 And then start developing timelines, which will help you draw great animation sequences. 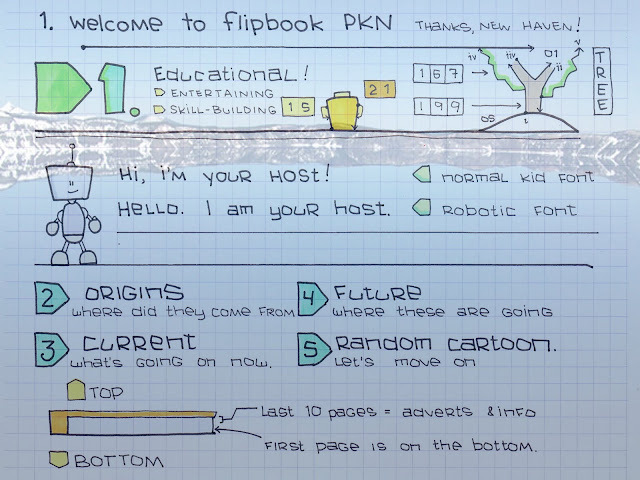 A timeline helps you understand what will happen over the course of an entire flipbook. It lists the total number of pages in the sequence (with the recommended "Rhodia" pads, that's a timeline of 80 pages, assuming that you follow rule #1). Timelines can be any length of pages, but to understand timelines, you have to be able to keep a schedule. If you can say that on page 60, there will be a change in the color of the ghost, then you know that you have followed your own instructions, and the book will appear correctly. Trust yourself and you can make one just as cool as [this]. 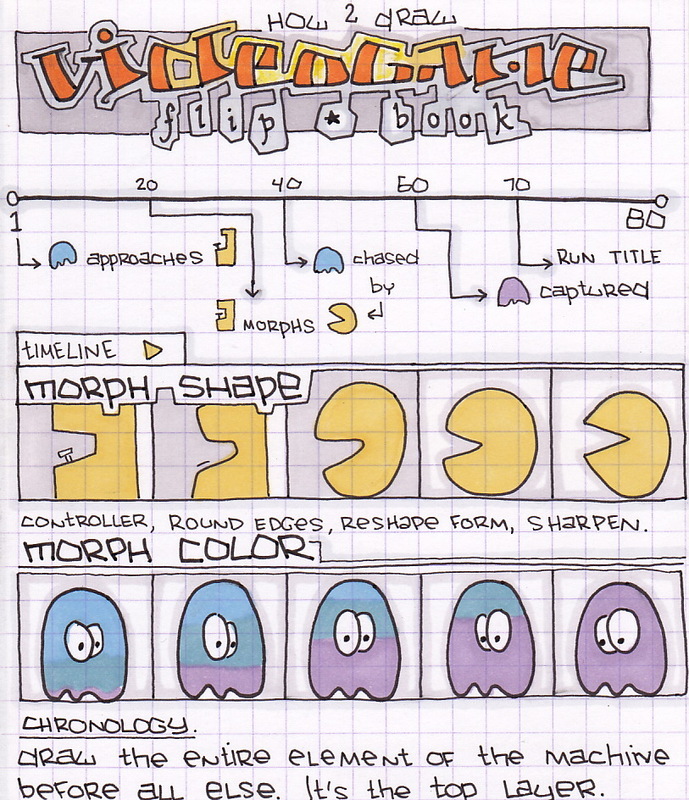 So, when you're drawing, learn about timelines because they can really help you out. Here's a close-up of the first videogame flipbook. Once you have grasped the ability to create a timeline, learn how to draw "Sequences." A sequence does not necessarily contain the information of what happens at which points in time, although on this particular page, we see both that information. Read about Concept 2. Sequences are how you can establish what is going to happen, and what it's going to look like. Remember that timelining is just an outline of when things are going to happen. You can base how you think things will appear by researching about it. I had a to watch a couple videos on tornados on Youtube before I could finally put this one together. This one was about a cloud, and it becomes a tornado. I had to really imagine what a real tornado would look like. Later, I added Jeb and Billy to escape from it in their Orange Truck. You can escape a twister, but the best thing to do is prepare. 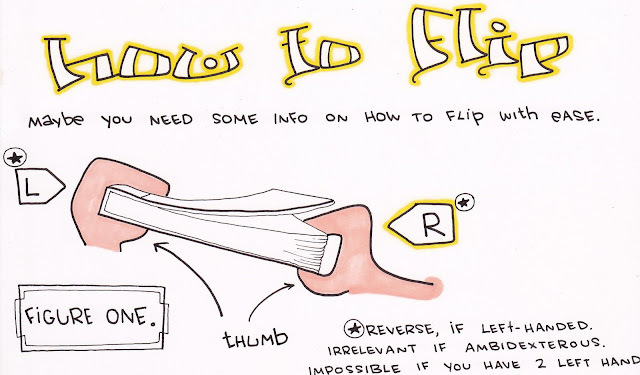 You can prepare for a twister by drawing your own tornado flipbook. Maybe it might look like mine. Possibly some of the houses will not look the same. Maybe there will be different kinds of trees. Just remember you're welcome to use my stuff. I have left it all out for you on this internet table to make your own cartoons with. Now we're actually getting into drawing. It's time to talk about objects. An object is any recognizable shape. In order for two images on consecutive pages to appear to be the same object, they must look the same. An object is any recognizable shape. In order for two images on consecutive pages to appear to be the same object, they must look the same. 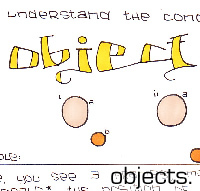 "Objects" is a way of drawing pictures of nouns (persons, places, or things) in a way that keeps those shapes recognizable for a series of pages. In order for your brain to recognize a shape as an "object," it must be able to identify it. A simple example of an easily identifiable object is a square, or a rectangle. Rectangles are shapes that are four-cornered, but they are longer than squares in one dimension. You can change a square into a rectangle by altering the lengths of the dimension. If you alter the length of one side, the other side has to be the same length. In that sense, you wind up drawing the lines in groups of 2, which parallel each other and intersect with the same line. When you have nothing really to do, don't be afraid and go outside by yourself at night. Look up at the sky and look at all the stars. Imagine what it must feel like, to travel from star to star. That's how I learned how to draw flipbooks. The pages will scroll. Give yourself a chance. If an object is moving at the same pace, that's known as scrolling. In other words, you might have one where a skateboarder is doing tricks. The lamp-posts, fire hydrants, and buildings in the background scenery all move from right to left, as it appears that the skater is moving forward to the right. Meanwhile the skateboarder stays centered in the middle of the page throughout the sequence. That's the concept of the sub-topic of scrolling. Each of those objects are moving at the same pace, in a similar direction. When only some objects scroll, it gives the appearance that the other objects that aren't scrolling are in motion. You can use that technique in a whole bunch of different ways, including morphing. An object in a flipbook, unlike that of a static image, can morph into another shape that can also be identifiable. Flash calls that "shape tweening." I call it "object morphing." Same difference. Morphing is one of those techniques that takes time to understand. 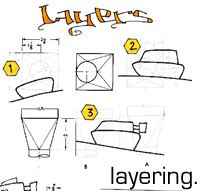 Layering is one of the core concepts of hand-drawn animation. If you draw the wrong thing first, it will block the other objects on the screen. That's just the way it works, which can become especially difficult if you decide to play by rule #2. If you really grasp the concept #3 on layering, you will really be able to develop a strong ability to not need to erase anything. Meaning that if you establish, well in advance, the chronological order in which you draw things, then it will become quite easy for you to build upon a drawing, once it's been started. Layering is actually the chronological order in which you draw your flipbook.